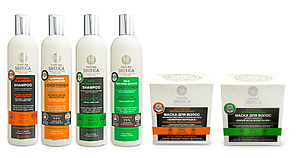 Natura Siberica is the first Russian organic beauty product based on wild harvested Siberian herbs and flowers which is certified by leading European natural & organic certification bodies. One of them is BDIH COSMOS. Due to its extreme conditions, Siberia imbues its flora with unique health and beauty benefits, the like of which cannot be found anywhere else in the world. To survive there herbs and plants synthesize highly protective active ingredients and possess extraordinary antioxidant properties. We incorporate all these unique properties to create products that will lavish your skin and hair with beauty and vitality. Moreover, we at Natura Siberica are committed to active social policy: we create new working places in Siberia and Russian Far East region; starting 2012 we cooperate with the Association of Indigenous Peoples of the North, Siberia, and the Far East of the Russian Federation; in 2013 together with Irkutsk Botanical Garden we launched a program to plant by 2018 more than 70 000 unique Siberian plants. In 2013 we started building the very first organic farm in Russia, certified with EU standard 834/0, where we will harvest rare Siberian herbs. We work together with the local tribes who know this mysterious land best of all and moreover they help us manually craft the herbs for our cosmetics. • Winner of Best Organic Mother and Baby Product Award at Natural & Organic products Europe 2013.